What happens when students brainwashed with cultural-Marxism find jobs? the evil face of state sponsored cultural-Marxism. I think back to when I was seventeen and in my final year of school and I thank all things holy that I’m past that particular period of my life. My parents had divorced acrimoniously four years before and with no support for kids of broken families at the time my grades were through the floor. My brother and I took our anger out on each other, so that relationship was especially poisoned. While girls liked me and I was good at talking to them I could never seem to get them beyond a certain point. I had spots on my face. Worst of all was the fast approaching realization that school would soon end and then I would really be lost. I had no illusions that I would be able to enter university under my own terms. My life was a combination of anger, frustration, depression and despair. I had no direction and I lacked a mentor to help guide me to any path. I couldn’t see any way out. But at least I didn’t have teachers at school lecturing me on my poisonous masculinity and male privilege. That special kind of hell is reserved for those young adults so unfortunate as to be alive in this era. Victorian students will be taught about “male privilege” and how “masculinity” encourages “control and dominance” over women, as part of a mandatory new school subject aimed at combating family violence. The Victorian government will push ahead with the rollout of its $21.8 million respectful relationships education program, despite claims the program fails to consider the multiple and complex drivers of family violence, ignores male victims and amounts to the brainwashing of children. Evidence has emerged the program risks alienating men — by presenting all men as “bad” and all women as “victims” — a point highlighted in a report evaluating a pilot of the program in 19 schools last year. I first came across the term ‘male privilege’ back in 2010 during a major internet war on my gaming blog over the feminist intrusions into online gaming. Six years later it has crossed over from bizarre far left progressive nut-bag feminist ideology and found its way to the heart of the state education system here in Australia. We should not be surprised as it was only a matter of time. The years of churning out university graduates steeped in these cultural-Marxist ideologies has reached its end-game stage. We may make fun of the rot they teach in universities but eventually these indoctrinated students enter the workplace and some of them actually find jobs. And since they’re basically stupid and have trouble surviving in the real world, they gravitate to the public service. 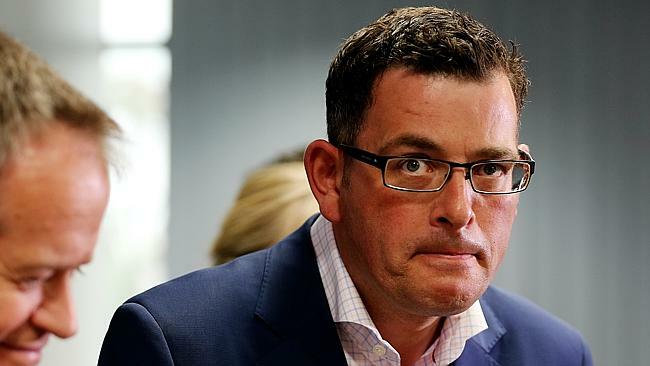 All that was needed was a meeting of the Marxists between the public servants and the politicians, and in premier Dan Andrews they have found their man. Since being elected barely over a year ago, Andrews has shown remarkable energy in pushing for all matters social justice. “Being born a male, you have advantages — such as being overly represented in the public sphere — and this will be true whether you personally approve or think you are entitled to this privilege,” states guidance for the Years 7 and 8 curriculum,” it says. Cultural-Marxists deal in lies. Reading this gives me a clear view of the land. Without needing to look at any statistics I know now that women outnumber men in the public sphere. That is because I am able to draw on my life experience and recognize the rot that is being peddled here. But that is 45 year old Adam. 17 year old Adam would have had a much tougher time of it. My own circumstances as a young adult were not unique then and I am sure that they would not be unique now. Most of us have a very tough time of it but the ability to persevere, push through and make something of yourself is what really separates the men from the boys. But to then indoctrinate students at that age and tell them that their masculinity is toxic is beyond the pale. How does a confused and lost adolescent even begin to deal with that kind of misinformation? This is psychological child abuse of the very worst nature and it is state sponsored in a country like Australia. It is incredible to think that our education system has been reduced to this but once again it is simply a natural progression when viewed through the prism of the last forty years of Marxist intrusion into the teaching profession. That teachers would willingly peddle this evil is incredible to me. That parents would send their children off to have their minds poisoned seems also ludicrous. But then I remember back to my own adolescence and I know that my own parents had no idea or real interest in what I was learning at school. Parents who become aware of this state sponsored indoctrination need to view this as an opportunity to take back control of their children’s education. The state school system is now lost, and it could well be that this has been going on for some time via malicious undercurrents but it is only now that the Marxists feel confident enough to reveal their true intentions. Take the opportunity while you still have it and get your children out. If you want to read the story of how I did overcome my early obstacles and make something of myself, grab my two books. There is no such thing as ‘closure’. All I can say to this, is that I am glad I was not born any later. In fact, I wish I had been born decades earlier. I have said for a long time now that Australia is a communist nation in the making. Long gone are the good old days of the “men at work” from down under. Serious repression of male rights should be regarded as violations of democracy. Fortunately the women of America have way more privilege than men. For instance, women are all allowed to vote for whatever politician that might cause war, however, they are not required to fight in that war. Israel for instance is not a real democracy and that can be seen by the communist civil service that forces women to serve in the military. Countries don’t come more communist than the state of Israel. And we all have to agree to its status as a state regardless of the fact that they have no defined borders. Good luck Australia, you are in bed with Israel after all, you are gonna be indoctrinated by your allies. That’s a very short journey, I feel. And we all have to agree to its status as a state regardless of the fact that they have no defined borders. Presumably its coastline is an illusion. All that water is just a delusion. Can’t believe that anyone would think otherwise. The Cultural Marxists were just cultural theorists and in fact warned against the dangers of a fake/manufactured Culture Industry driven only by the commodification and falsification of genuine culture (hence their concept “The Culture Industry”). With the British Cultural Marxists wanting to defend local community cultures against this “massification” of culture (hence their concept of massification). …and they were in fact ANTI-CENSORSHIP; with with Richard Hoggart and Raymond Williams of The Birmingham School standing up against censorship at The Lady Chatterley trial. A censorship trial which is thought to have made Britain in the 1960s into a more permissive society. Adorno was even PROTESTED by feminists in his day, and the modern incarnation of The Frankfurt School is still writing AGAINST Identity Politics; pointing out that economic class is a more important factor to oppression than the social categories of identity politics.